This is my recipe for my Berryliscious crumble. 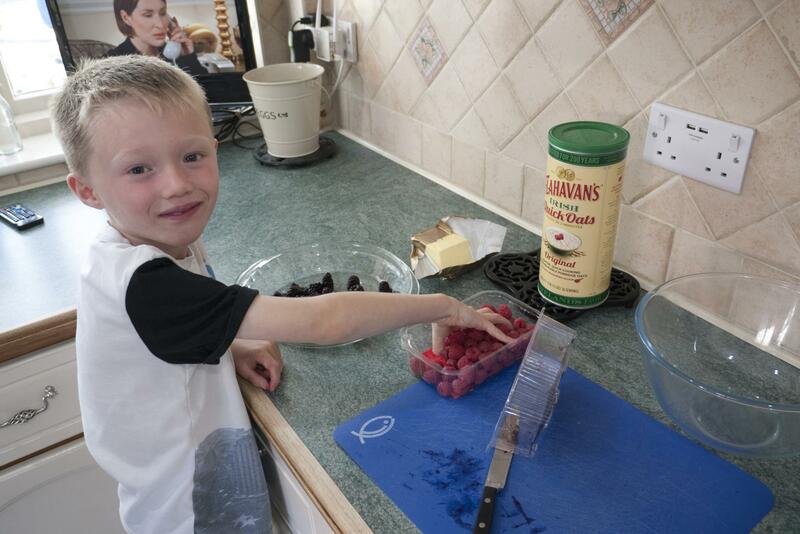 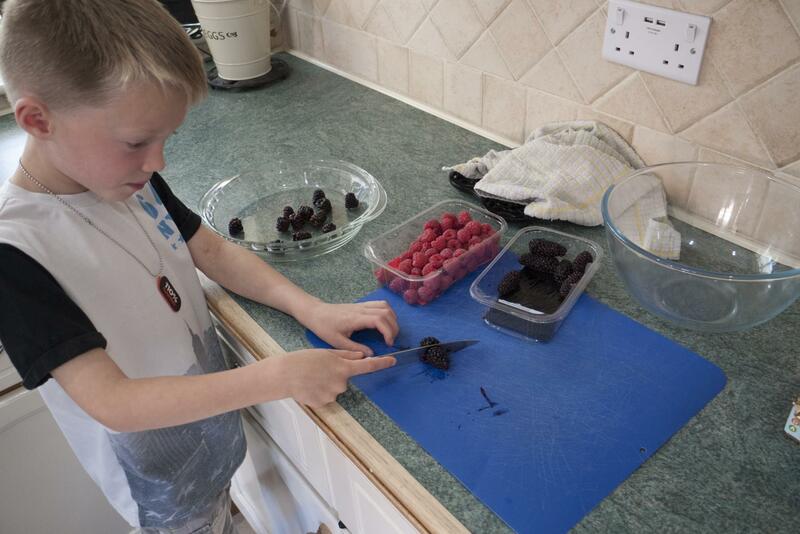 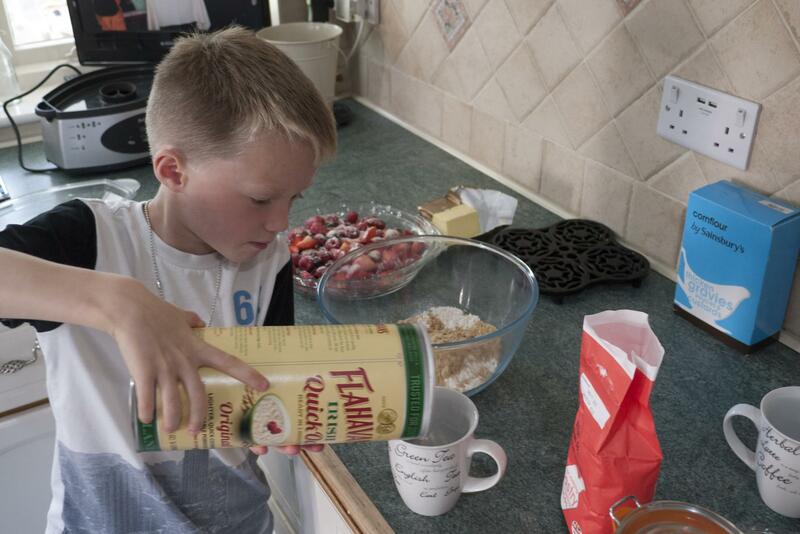 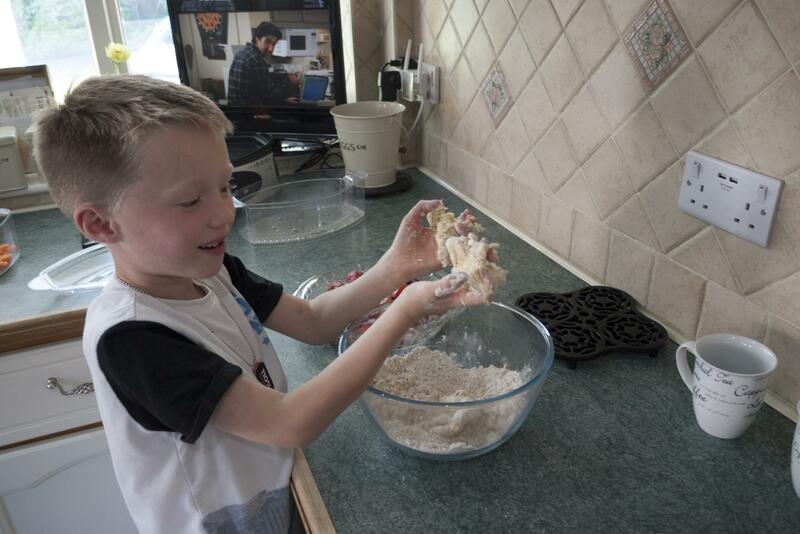 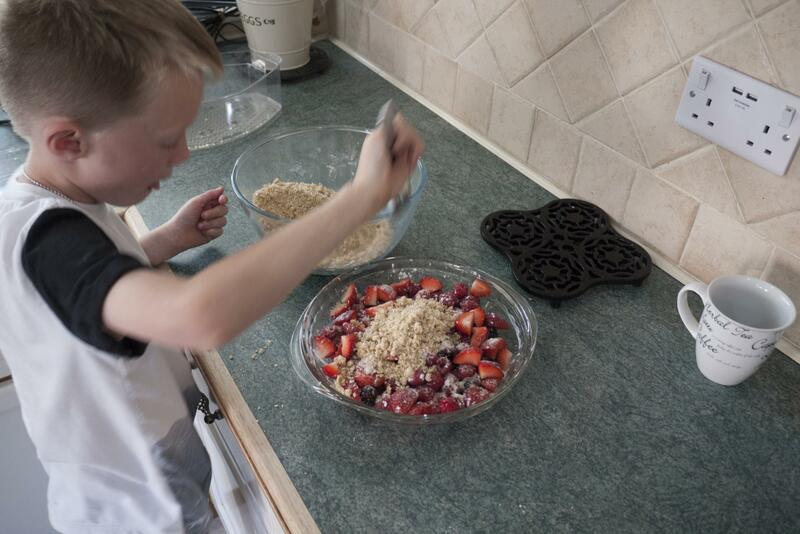 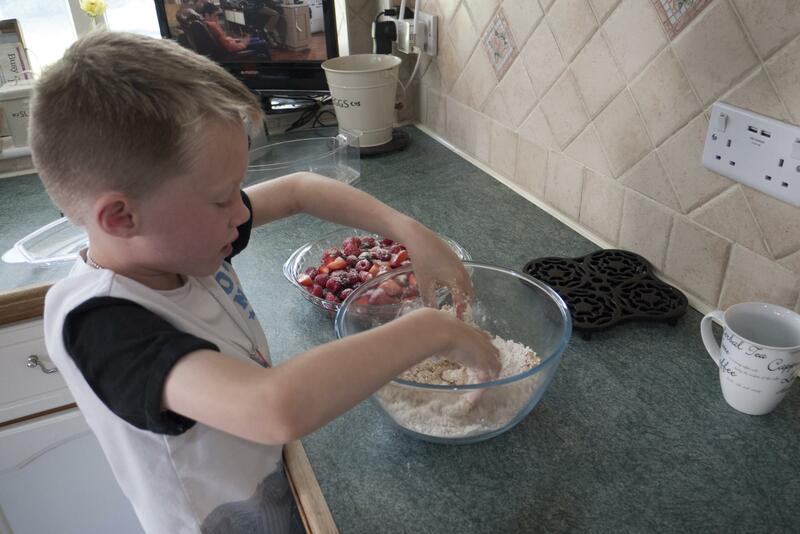 Put the fruit in the dish and sprinkle with the sugar and cornflour. 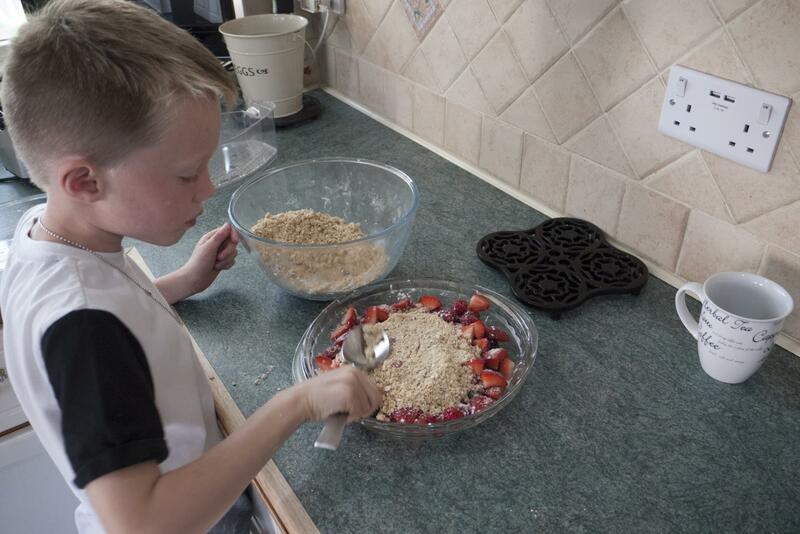 In a large bowl mix the crumble ingredients together using your fingersin. 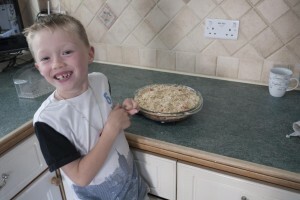 Add a little more butter if the crumble is a bit too dry. 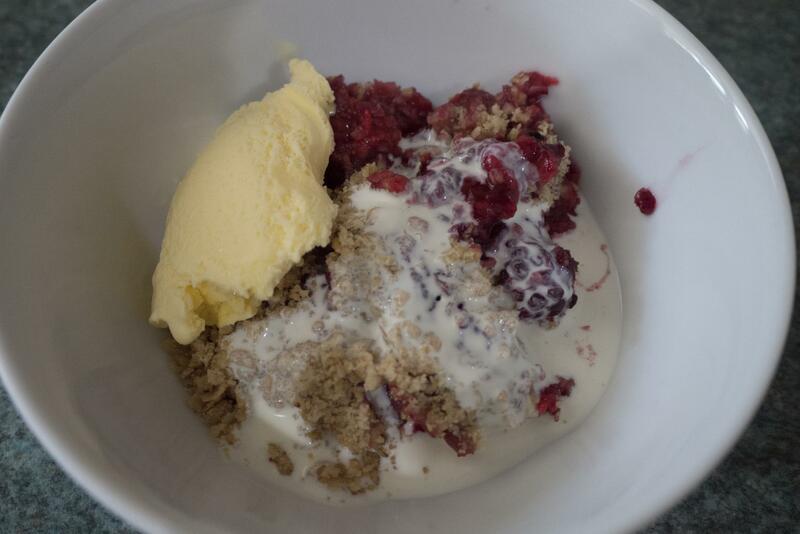 Serve with cream, icecream or both! Why not try changing the fruit, I really like using pears, apples and rhubarb! If you do decide to try this recipe, have fun and I hope that you enjoy it! 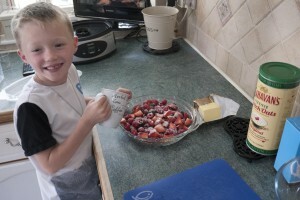 i am going to make that because it sounds yummy! 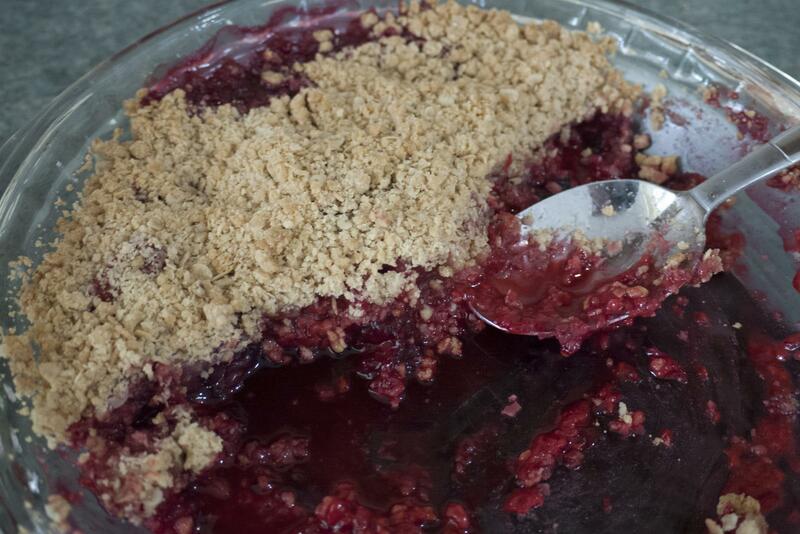 Could this possibly be the best crumble in the world. What a chef – how he achieved such combination of flavours – has such a light touch with the crumble – all in all a delight!